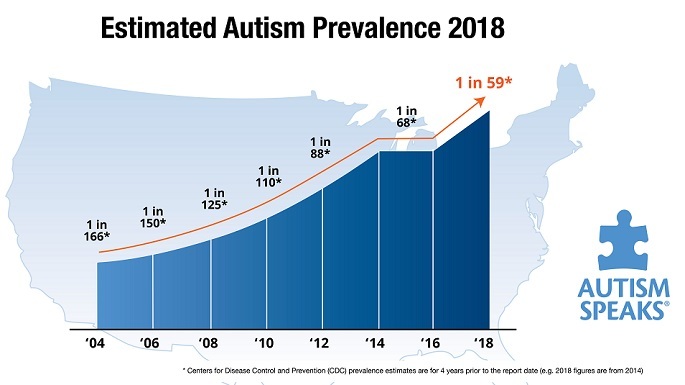 I hadn’t really expected MMS to gain any traction as a viable autism treatment. It seems complicated and scary, and the FDA first issued a warning about it four years ago. Perhaps there is no measurable re-emergence, but it seemed so when I attended the Autism Today Second Conference in Miami this week. I sat among eighty mostly-bewildered parents, representing children who are so affected that they are attracted to outlier theories and treatments. This is largely because the information supplied by the conventional medical community is so woefully inaccurate, incomplete, and unproductive for many patients. Due to some scheduling glitches, this conference ended up focusing on the very controversial topic of MMS. The treatment was explained by Ms. Kerri Rivera, “a biomedical consultant for an autism clinic in Puerto Vallarta,” and mother of recovered child. Her experience was then authenticated by Dr. Andreas Ludwig Kalcker, inventor of “The Parasite Protocol,” which is an essential element in the therapy. The diet – organic vegetables and meats. GF/CF/SF/sugar free (especially fruits). Supplements – Stay away from all anti-oxidants. Main Ingredient – Ocean water and acid (lemon juice, e.g. ), to make a dilute solution of Chlorine Dioxide. How it is administered – Doses and administration depending on a pre-established protocol, plus alterations depending on symptoms and response to treatment. In the gut, it is supposed to remove the biofilm and so expose organisms that get flushed through the G-I tract. Breathed into the lungs, it addresses asthma and bronchitis. The cutaneous route helps eliminate bad skin cooties and detoxify. Enemas and rectal suppositories to directly address lower intestinal issues. There is also and Eye and Ear spray form. What happens – The elimination of bad bacteria (and, admittedly some good ones – but they have a product to fix that), viruses, fungi, and worms. Lots of worms. Plenty of worm pics. Worms that no laboratory in the world, apparently, can document. Acceptable additional treatments listed as HBOT, chemical chelation and GcMAF, probiotics, l-carnosine, carnitine, plant fatty acids, GABA, digestive enzymes, tryptophan, DMG and TMG (the last 2 are anti-oxidant precursors). She claims to have helped over 6000 families, and 131 cases of patients losing the diagnosis. The ‘Parasite protocol’ was presented by Dr. Andreas Ludwig Kalcker, who recommends Chlorine Dioxide treatment. He lists his credentials as, “… first licensed in economics and later in biophysics and alternative health (Ph.D).” Addendum – I found other evidence that he received a Doctor of Philosophy in Alternative Medicine and Natural biophysics from the Open University of Advanced Sciences Inc., which is a fake diploma mill based in Florida, but lists Spain as the main address. Although his German accent is compelling, the science that he presented was not. He listed the symptoms of parasites and noted similarities to many autistic behaviors (?cause and effect?). He claims that his key discovery was that regressive autism is due to “Parasitological Vaccinosis“. That term describes toxins that are later released by parasites in susceptible children who become vaccinated. “Dr.” K made many grand overstatements, using real research papers that only prove the one point, frequently mixing apples and oranges. Slides such as “Larval migraines induced by vaccine,” not only lack a scientific citation, I couldn’t find any match over the entire Internet. As expressed by top autism researcher, Dr. Martha Herbert, I do not believe that parents who attend these conferences are “gullible, dangerous, and/or don’t love their children, and the people who pass them off are snake oil salesmen.” I was there to learn about new ways to approach our most resistant patients, not to criticize. Advertising MMS in this manner is not the way to go about proposing innovative and controversial treatments. It promotes The Wakefield Effect. Dismissing conventional medicine as being completely ignorant and challenging treatments from all sides takes strong scientific proof. Proof of concept in animal models and proof of efficacy and safety in appropriate human treatment trials. To be specific: no, I would not recommend this treatment for my patients. There is too much missing information. A few pictures of recovered children and parental testimonials should not sway a prudent professional. At The Child Development Center, we have improved the lives of many of our patients by addressing and treating G-I health with a proven, safe, well-tolerated protocol. Nutritional status must be evaluated, treated and monitored. With appropriate behavioral therapies, child development gets on the right track. For successful autism treatment, each piece in the puzzle has to fit into the bigger picture. This entry was posted on Saturday, May 24th, 2014 at 7:33 am	and is filed under >ALL<, Alternative and Complementary Medicine for ASD, Autism Therapies, Chelation, Conferences, Diets, Gastrointestinal Issue, HBOT for ASD, Patient experiences, Research, Reversing autism, Special Therapies, Vaccines. You can follow any responses to this entry through the RSS 2.0 feed. You can leave a response, or trackback from your own site. I wish I had known about this 4 years ago when my daughter would have been 10. Hopefully 14 is not too old for this treatment to be really effective! I’m not sure that was my conclusion… I met a mom recently who thought her 8 year old improved with this treatment. The therapy didn’t jump-start speech, but her attention and behaviors did improve. Mom said she had to give an oral dose every hour, though. Is there is an option to make an appointment with Dr. Andreas. I have a nephew, and want to consult him. So, it’s interesting that you would trust the FDA for warnings on anything. They allow toxic prescription drugs to be passed through day after day. Just read the side effects on any major prescription drug. I’m not advocating this protocol, but I also wouldn’t turn to the FDA as an reputable source for information. Dr. Udell as always your insight is spot on. So thankful to have you in our lives. A real warrior Mom… thanks!